NJ Burkett has the details. 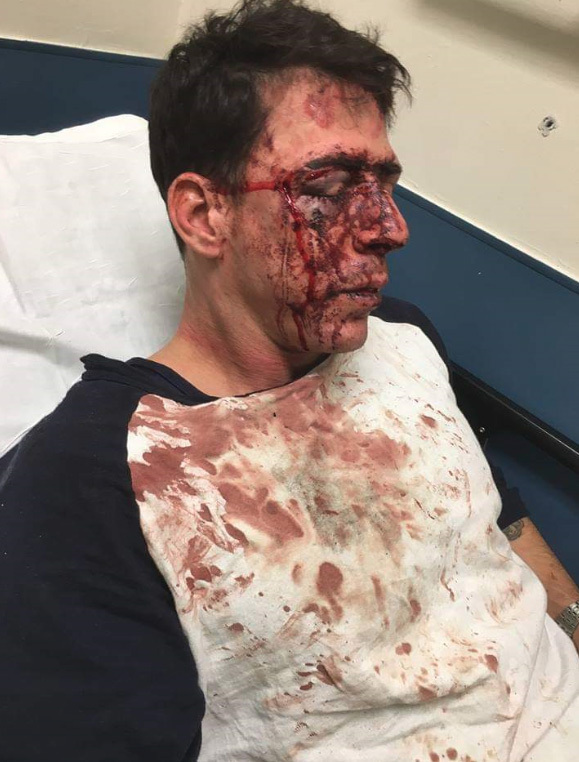 OZONE PARK, Queens (WABC) -- An off-duty New York City correction officer is under arrest after police say he and three other men assaulted a motorist following a car accident in Queens. Officials say 40-year-old correction officer Raynaldo Persad was in a vehicle with the three other suspects driving on Linden Boulevard in Ozone Park on Sunday when they got into an accident with another car just before 2 a.m. The group then exited their car and allegedly attacked 34-year-old Steven Guerreri, Jr., who was in the other vehicle. The victim was left with swollen eyes, facial lacerations and heavy bleeding. Persad was taken into custody and charged with assault and resisting arrest. The three other men who were with him are still on the loose. Persad has been suspended, and an investigation is underway, according to a spokesperson with the Department of Corrections.